Watching online videos isn't just for millennials anymore, as senior executives are finding themselves glued to their computers or mobile phones too. In fact, according to this post, more than 80 percent of senior executives watch more video than they did a year ago and given the choice, 59 percent of executives would rather watch a video than read an article - proving the value video marketing has when trying to get in front of decision-makers. Publisher of established magazines, including The New Yorker, Vogue and Wired, Condé Nast's Entertainment division has announced an agreement with Rapt Media, which will enable Condé Nast Entertainment (CNÉ) to enhance both CNÉ's original digital video programming as well as its advertising offerings. For the unfamiliar, CNÉ is a division of Condé Nast that focuses on the development, production and distribution of original television, feature film and digital video offerings based on the company's media brands. This agreement will mostly play out on The Scene, a platform that curates and showcases video content from CNÉ, and traditional and new media companies. 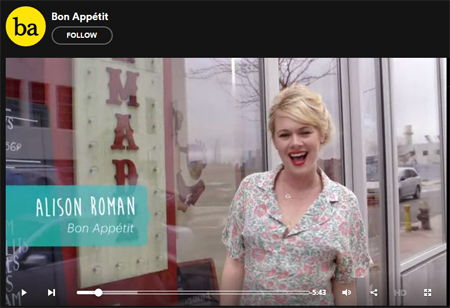 For example, Bon Appetit Editor Alison Roman's editorial video is published on The Scene, as are editorial videos from GQ and other media outlets. The Scene also has original series (maybe a step toward Netflix's original series-type programming). Aside from the content itself, CNÉ is banking on this agreement boosting ad revenue. It will offer Rapt Media's platform to advertisers through new integrated marketing packages. According to the announcement, the new packages will include an interactive play within the actual ad unit, creating an offering that will allow visitors to CNÉ-operated sites to view the ads in a way that is personalized and more relevant to their interests.